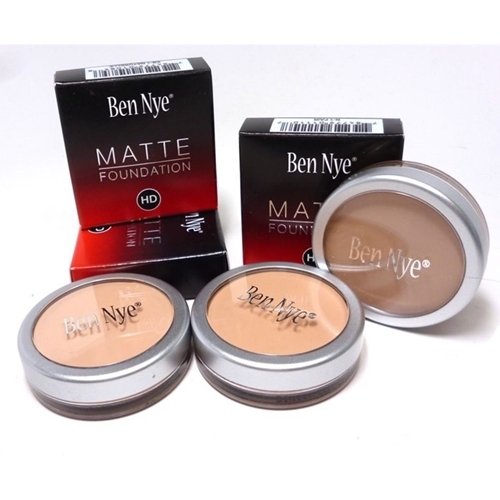 Ben Nye's HD Matte Foundations combine high pigmentation with a silky smooth formula. The foundations are available in a wide range of natural skin tone shades from the fairest to the deepest. Apply with a dry or damp makeup sponge and set with neutral setting powder for a flawless finish. Each .5 oz. container yields about 35-60 applications.